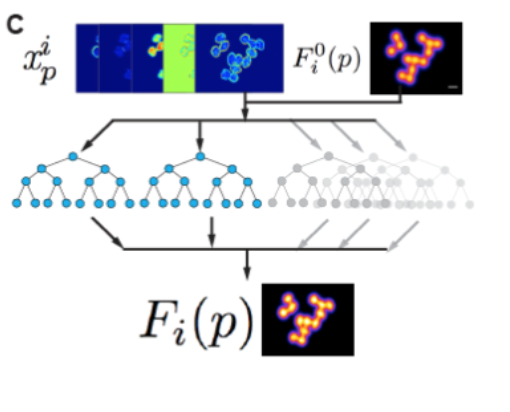 3-D density kernel estimation (DKE-3-D) method, utilises an ensemble of random decision trees for counting objects in 3D images. DKE-3-D avoids the problem of discrete object identification and segmentation, common to many existing 3-D counting techniques, and outperforms other methods when quantification of densely packed and heterogeneous objects is desired. 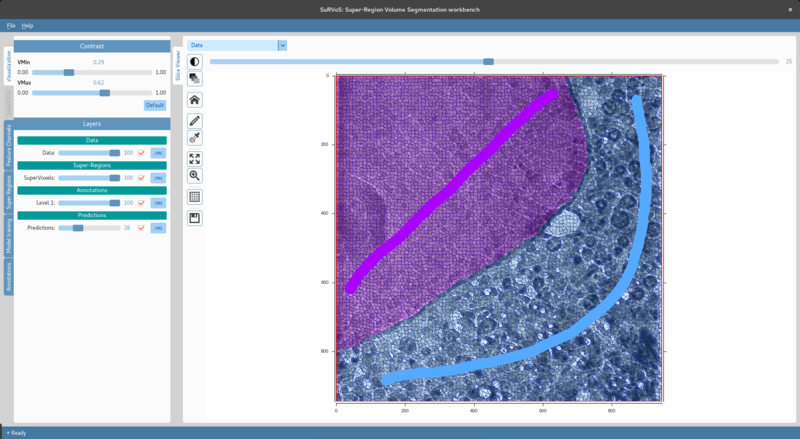 A volume is first partitioned into Super-Regions (superpixels or supervoxels) and then interactively segmented by the user providing training annotations. SuRVoS can then learn from and extend the annotations to the whole volume.